Widely known for his role as Gorgon in the Marvel superhero TV series Inhumans. 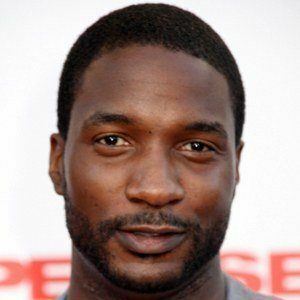 He previously appeared in the 2015 film Concussion as Amobi Okoye. He initially attended the University of Colorado at Boulder to study sports marketing and run track and field. He would go on to earn his BFA in theatrical performance. In 2014, he appeared in 4 episodes of the sci-fi TV series Extant as a black ops commander. His parents were both Nigerian immigrants. He was cast to star alongside Isabelle Cornish on the Marvel TV series Inhumans.